PIKE COUNTY, Ind. -- A dog owner's worst nightmare. 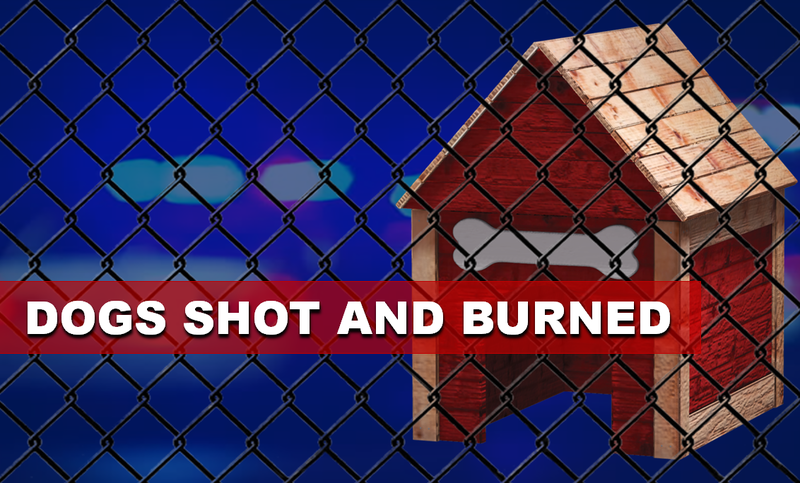 When police arrived to rural area off of County Road 200 North near Hazelton they found two dogs shot and burned. The dogs' owner Chelsie Koutz, reported them missing to the Evansville Police Department Tuesday, after someone broke into her home and stole them. She didn't know where her pit bull lab mix and golden doodle were until someone messaged her on Facebook. Koutz told WFIE she was on the phone with the Pike County Police Department and the woman who messaged her when the woman began screaming that Jordan Hunt, Koutz ex-boyfriend, shot the dogs. Koutz said she had so much hope that the dogs the were still alive. The woman went to check on the dogs before telling Koutz her dogs were dead. She was still on the phone when Hunt set them on fire. In an interview with WFIE Koutz said that when she got to the scene she immediately ran over to the dogs, "You could still tell it was them. I fell to the ground. I tried my best to hold both of them. They were still hot." Hunt drove away from the scene and was arrested by the Indiana State Police at his home, Wednesday. Hunt faces charges of intimidation, domestic violence, and killing a domestic animal. He's currently in the Pike County Jail, under a $350,000 bond.